Since our initial launch, we have been able to expand our unique vision of serious and fun skincare to women all over the world. Glamourflage is now available in South Korea, China, Taiwan, Hong Kong, Macau, Singapore, Indonesia, France, The Netherlands, New Zealand, Canada and the UK. 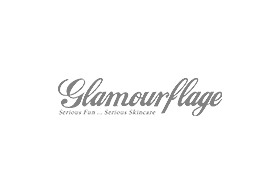 As Glamourflage continues to grow, so too does our product range, watch this space for our upcoming range of skincare products available to you soon!